This may be an area you don't recognize today. The maritime industrial district in this article grew up around two railroad lines into downtown Jacksonville that no longer exist. 6. The intersection of Florida Avenue and East Adams Street. Today, the City of Jacksonville would like to see the Sports District become an entertainment district. Now a parking garage sits on the site of the type of building that is typically incorporated into entertainment districts. 7. 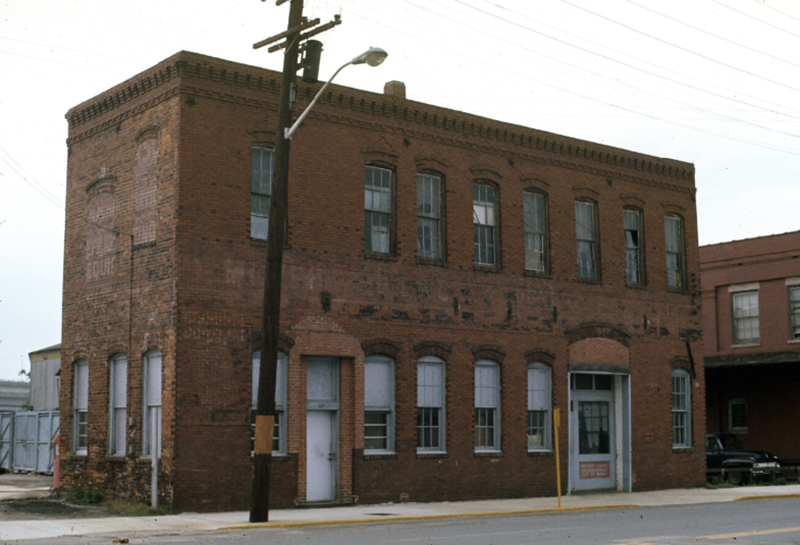 T. Murphy Iron Works was established along East Bay Street prior to the Great Fire of 1901. After the fire, the company built this building adjacent to the railroad on the north side of Bay. The site of T. Murphy Iron Works today. 8. Arriving in Jacksonville at the age of 19, Fred Martin’s first job in town was as a coffee salesman for the Bingham Coffee Company. 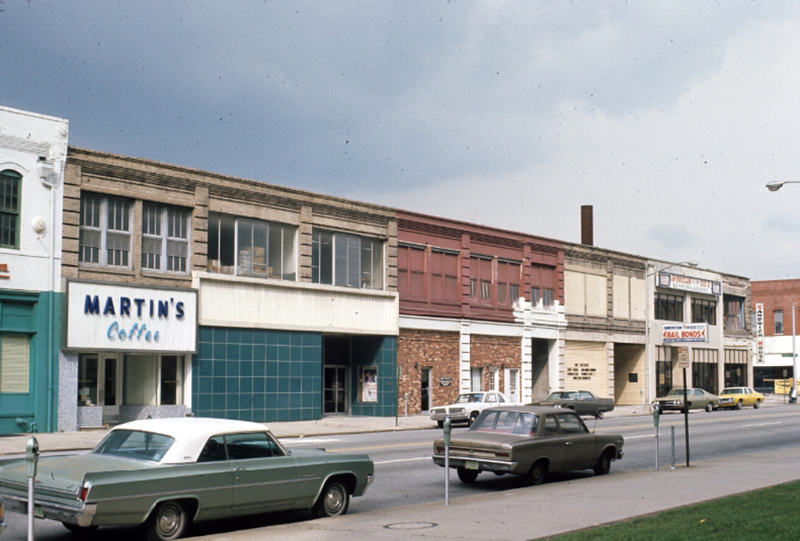 After 22 years with Bingham, Martin had become a part owner in Bingham when it was sold in 1957. 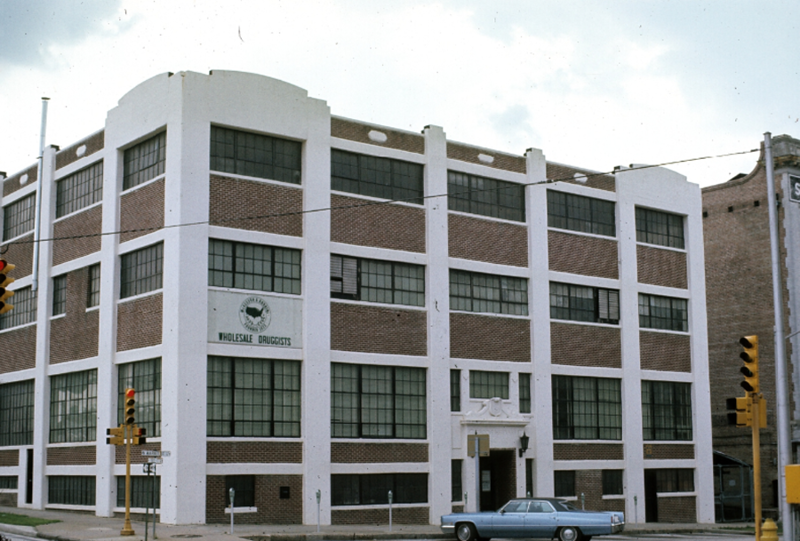 Still believing there was a niche for the product, Fred and Amy Martin purchased Bartley’s Coffee Company that same year, to open the Martin Coffee Company inside this downtown Jacksonville warehouse on East Bay Street. Live Bar is located in the former home of Martin Coffee Company’s coffee roasting plant. 9. 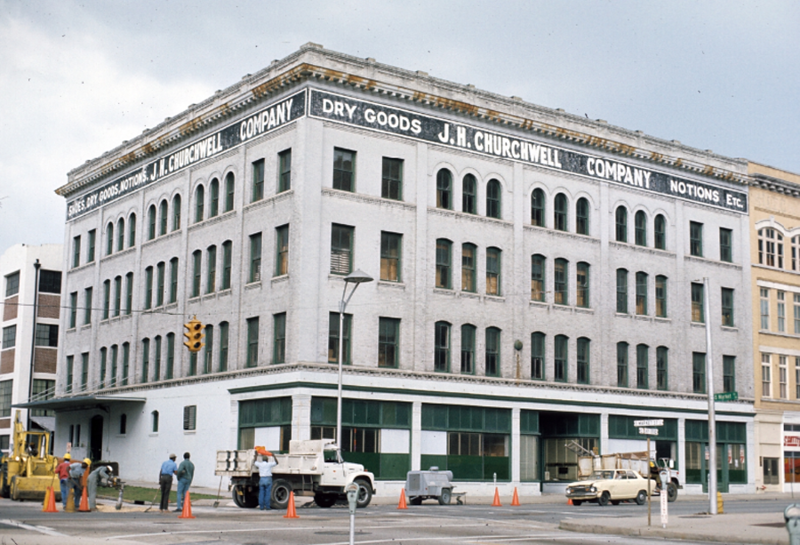 The John H. Churchwell building at Bay and Market streets was completed in 1900 by Robert V. Covington, who then moved his wholesale and retail dry goods business to town. During the 1920s, the business was acquired by John and Augustus Churchwell. In 2008, the building was converted into residential lofts. 10. 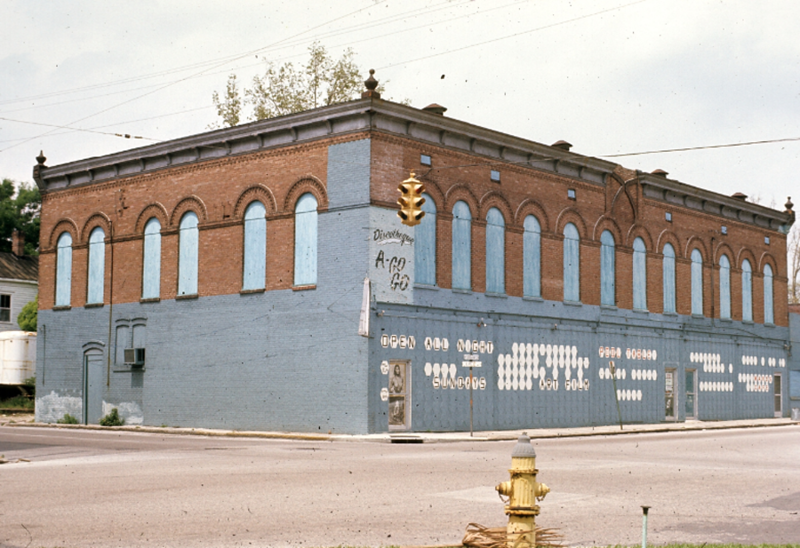 This warehouse building was completed in 1925 for the Groover-Stewart Drug Company. The company was originally established as the Christie-Groover Drug Company by Flavius Christie and Frank Groover. In 1905, M.W. Steward and H.E. Stewart were added to the partnership while Christie retired. In January 2016, the building was purchased by Level Office and restored into private offices and co-working space. Article by Ennis Davis, AICP. Contact Ennis at edavis@moderncities.com. Photographs courtesy of the Jacksonville, Florida architectural survey - slide photographs courtesy of the UF Historic Preservation Studies Collection within the Institutional Repository at the University of Florida.